Vital information if you are considering traveling Sunday in the central United States. 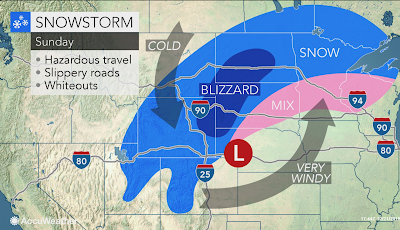 Yes, a full-fledged blizzard is likely from the Nebraska Panhandle to central North Dakota. Do not try to travel by car through the region and flights (ie., Rapid City) in the area will almost certainly be cancelled. And, farther south, the potential for tornadoes on Christmas Day. We will continue to update the Christmas travel. Keep checking back for the latest. 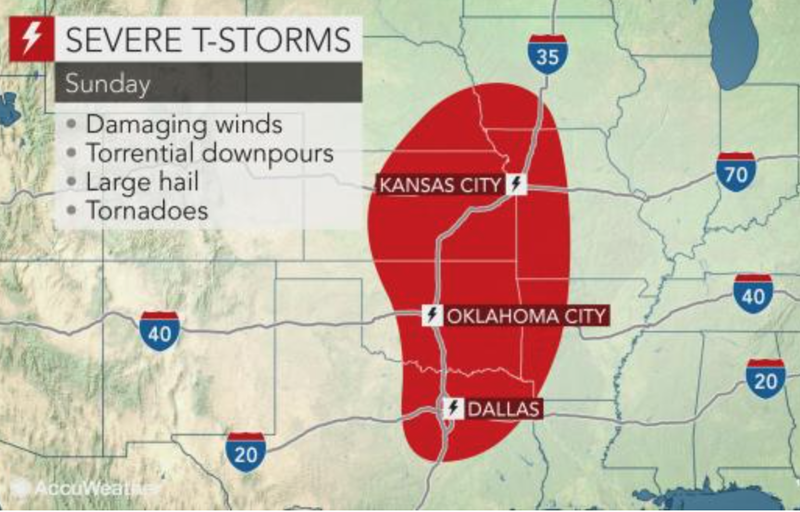 Where I live in extreme SW MO, the NWS office in Springfield seems to not be too concerned about a severe weather threat. They just have showers in the forecast this morning regarding the weekend. I am glad, I would rather have snow than severe weather.